Encouraging your child to engage in creative play is good for your child cognitively, socially, physically and emotionally. 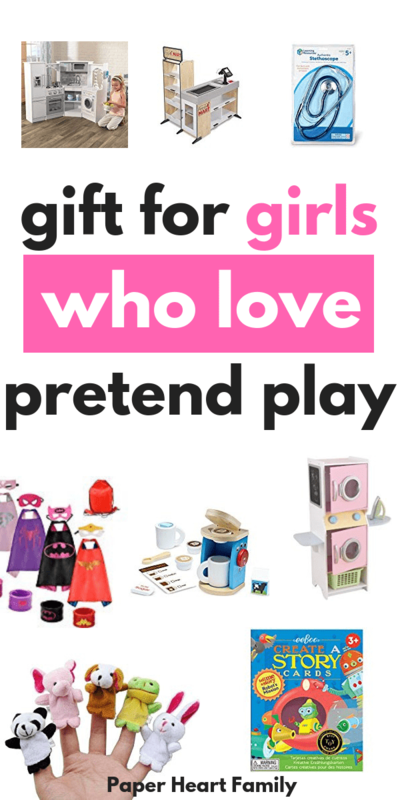 These are the ultimate gifts for creative girls. Don’t miss more gift guides from some of my favorite bloggers at the end of this post! And if you’re buying for a 6 year old girl, make sure to check out this post on the best gifts for 6 year old girls. My 5 year old became obsessed with my Boogie Board LCD eWriter after I purchased one to use for my to-do list. I love that it doesn’t waste paper (if your house is anything like mine you use so. much. paper.) and she loves that with the touch of a button, her drawing is erased and she can start again. The kid version is even better because it allows kids to trace anything that is underneath it. This is a must have gift for creative girls who likes to write and illustrate stories. After you child has written and illustrated her story, simply send it in and receive a beautiful, printed copy of the book. What budding author wouldn’t love that? Kid love to draw and color and create. But let’s be honest, many times kids are frustrated with the lack of quality of their art materials. Get your child an art set that she can be proud of. A good quality easel will be loved by the artist in your life. This easel has amazing features. It’s two sided, magnetic, the height is adjustable, it folds up for easy storage, and it has built-in storage. Do you have memories of your first diary? I know I do! Diaries are a great way to begin to teach your child that she can have her own thoughts that are hers and no one else’s. And this one is glow-in-the-dark. Diaries don’t get much cooler! And a diary isn’t complete without these adorable (and 100% made out of recycled newspaper) Scented Colored Pencils. Have an artistic child who also likes to build and play pretend? This toy has it all! This castle can be decorated and built over and over, for endless imaginative play. This activity book allows your child to create fun doodles or to trace the pictures with the wooden stylus to reveal bright colors underneath. A fun craft kit for older girls with a love for crafting and unicorns. Magnatiles are extremely popular, and they live up to the hype. They are a must for the child who loves to build. A classic toy that still has staying power. When my children received Fiddlesticks, I thought they would play with them for a few minutes and then move on to something else. Boy was I wrong! My toddler and 5 year old LOVE their Fiddlesticks, and the creations that they make always impress me. Legos are guaranteed to be loved. I love this LEGO Friends Summer Pool Set and this American Girl McKenna Gymnastics Set. Whenever I need to do something important (make an important phone call, clean up before company comes over, etc) I always pull out the play doh. It never fails me. Santa might have to bring this Play-Doh Kitchen Creations Sizzlin’ Stovetop to our house this year. Blocks are great but magnetic blocks are even better! I fondly remember my paper bead making kit from the 90s. This will definitely be a gift under my Christmas tree. *Ahem* For my kids. Not me. This paper airplane kit takes paper airplanes to the next level with 72 different planes. Bright neon paper in fun patterns along with stickers for embellishing make this origami kit irresistible! I love strategy games that kids can play independently, and this one from the amazing company ThinkFun doesn’t disappoint. They are great not only for fostering creativity, but also for building problem-solving skills. This domino set is extremely well made, and has a lot of fun features. It’s also something that the whole family can enjoy. Adorable, right? If your kids love puppets, these are the perfect short-on-space solution. For some reason, kids are mesmerized by the washer and dryer. And this washer and dryer play set is seriously the cutest. The play kitchens of now are nothing short of amazing. I love this wooden set. 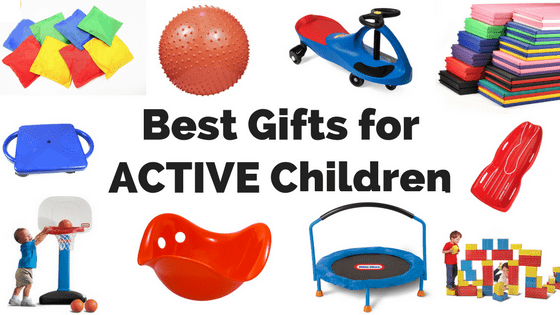 It’s super durable, which is a must because this toy is one that will entertain your child for years. It’s also adorable, and will fit in with any decor. Check out more of the best wooden play kitchens. Can the pretend play get any more real than this? With a functioning conveyor belt, scanner that beeps and a credit card machine, this is guaranteed to provide hours of pretend play. If your daughter has an 18 inch doll, these cheap 18 inch doll accessories are the best options based on cost, quality and playability. These dolls and accessories are the ultimate in pretend play toys. I bought this for my nephews two Christmases ago, and it still gets regular play. Simply connect the pieces, add a bed sheet, and you’ve got a unique fort for hours of fun. I love gifts that get my creative girls to build, because building isn’t just for boys! PS- It’s fun for adults, too! Kids love playing doctor, but I find that the kid’s doctor kits on the market are cheap and poorly made. Why not get your child the real deal? Dressing up doesn’t always have to involve princess dresses! Get these superhero dress up costumes to mix it up. Perfect to accompany your kitchen set! This wooden pop-up toaster and Keurig are so much fun! This game gets regular play in our house. We have the Fairy Tale Mix-Up, but Robot’s Mission looks great too. There are SO MANY reasons to love this game. It’s fun AND educational. It helps your child to develop storytelling skills and to recall and retell the story. Simply choose a card, and start the story based off of that card. Each additional card prompts the continuation of the story. 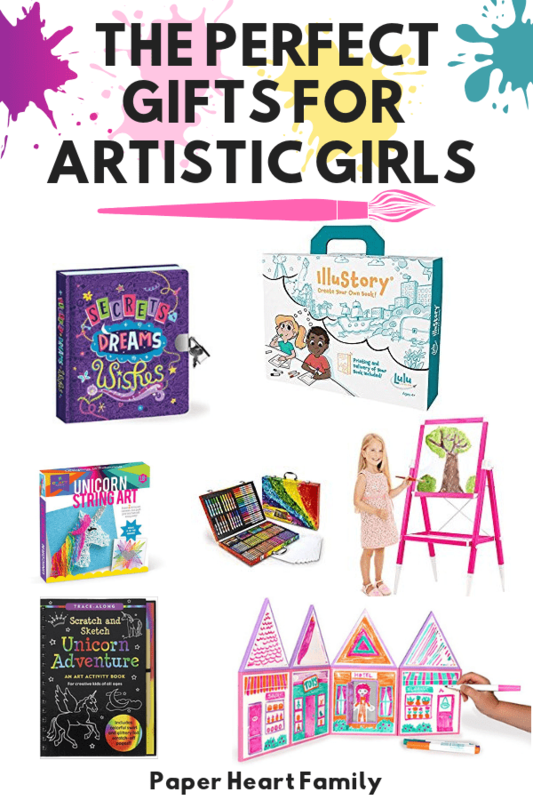 What is your go-to gift for creative girls? 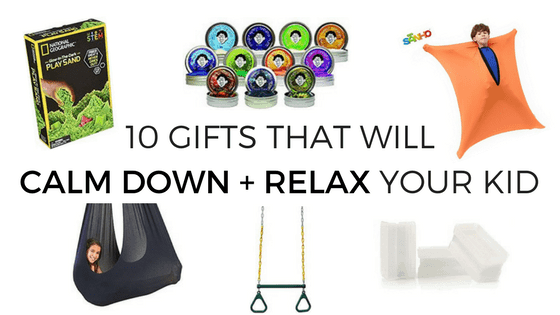 Bridget from This Mom Life has an amazing list for your child that needs to relax a little bit. 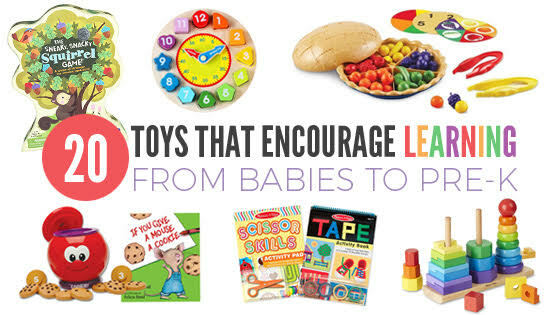 Kristen from Applecart Lane has the perfect gift ideas that are fun and educational. 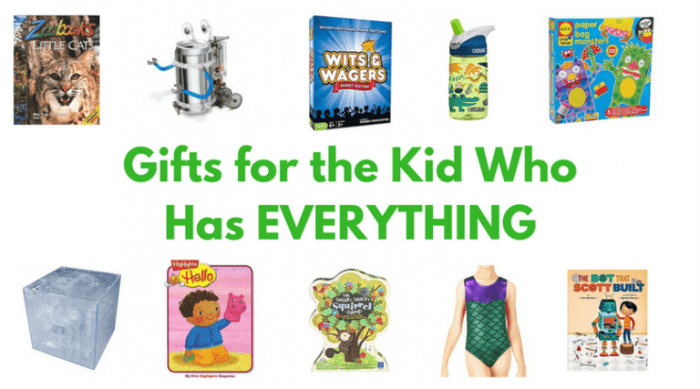 The Salty Mamas know just what to get the kid on your list who has EVERYTHING. Real Mom Recs has got you covered when you just need to wear your child out! The kitchen play accessories are what we are going to pick up for the holidays this year. She’s always asking me about my coffee, so why not get her a coffee maker lol. Great suggestions. I bet she will LOVE it ? As grandparents we always try to purchase educational gifts yet fun gifts for all the grandchildren. This list is perfect and helps us out. Isn’t it the cutest? I wanna play with it! I got SO. MANY. great ideas for my daughter from your list! Thank you so much!!! This a great list of gifts! My son is very creative and these will be great for him! Thanks for sharing! I’m glad you liked the list ? Great list!! Perfect for the up coming holiday season! Thanks! These are awesome ideas! I especially love play doh! I love all of these! My toddler loves expressing her creativity and she owns most of these! I love the easel to make her feel like a real artist. Last Christmas, I got her a play kitchen and that has provided us both with hours of play, creativity, and imagination. She is new to the magnatiles and I was just telling the grandparents that they can add on to what she has and it will be a gift that keeps on giving. Great list! Don’t you love seeing their creativity develop? I love the one that lets them create their own book!! My kids will go crazy over that! Isn’t that great? I would have geeked out when I was a kid! So many awesome ideas here that my kids will love! Pinned it for holiday shopping time! OooH! such great ideas, Brenda! I’m adding some of these to my to-buy list for Christmas! Thanks for sharing. Thanks Bridget! I love it because it doesn’t take up much space and it’s something that your child will play with for years! Oh my gosh! I love this. I kinda want to ask for some of these things for Christmas and I’m not a kid.